Defence Turkey: As a joint venture of the 3 European leaders in aerospace and defence; Airbus (37.5%), BAE Systems (37.5%) and Leonardo (25%), MBDA is the only European group capable of designing and producing missiles and missile systems to meet the whole range of current and future needs of the three armed forces. Can we please start with an analysis of the first half of 2018 from MBDA’s point of view and could you elaborate on your targets for 2018 and 2019? Could you provide a capsule summary of your major activities carried out during the first half of 2018? The first half of 2018 saw important achievements for MBDA: MBDA’s Sea Venom/ANL missile has successfully completed its second development firing from a French Defence Procurement Agency (DGA – Direction Générale de l’Armement) Panther test helicopter at Ile Du Levant in southeast France. MBDA’s Land Ceptor air defence system has successfully destroyed its target during an end-to-end system demonstration firing at the Vidsel Test Range in Sweden, an important milestone for the project prior to entry to service with the British Army. The Land Ceptor utilizes the proven Common Anti-air Modular Missile (CAMM) currently in production and delivering a common stockpile to meet the air defence needs of both the British Army and the Royal Navy (as Sea Ceptor). At the same time, the French Army has inducted the new 5th generation land combat missile MMP and set a new range record of 5000m during an early training firing in May. The MMP program calls for a total inter-force installed base of 400 firing units and 3,000 missiles and the system is expected to be deployed on external operations before the end of this year by French Armed Forces. In March MBDA signed a contract to supply the Qatar Emiri Air Force (QEAF) with Marte ER anti-ship missiles their new naval NH-90 helicopters: Marte ER was already chosen by Qatar in 2016 as one of the two ammunitions of the brand new coastal defence system that MBDA is supplying to the country. Competition is growing fast and the way to countermeasure it is through strong links with European platform makers and cooperation’s on new products and new programs. Defence Turkey: How would you summarize MBDA’s involvement in Turkey over the last decades? Could you give us a projection of past experience in Turkey over the last three decades? Michele DI NUNZIO: MBDA has a long-lasting relationship with Turkey,we have been working in the country and with the country for many years. We worked actively for the Tloramids program. Last January we signed through Eurosam (the franco-italian joint venture between Thales, MBDA France and MBDA Italy) a contract together with Rocketsan and Aselsan to define a future indigenous air and missile defense system, based on the charateristcis of the SAMP/T system and with anti balistic capabilities. We are also seeing that Turkey is pursuing other paths as well, with the acquisition of the Russian S-400 system, selected to respond to requirements of immediate availability as well as shorter range. Yet we are still waiting for a clear sign from Turkey that they are willing to fully commit in investing (at political and financial level) with France and Italy to develop the future Franco/Italian/Turkish air missile defence system. 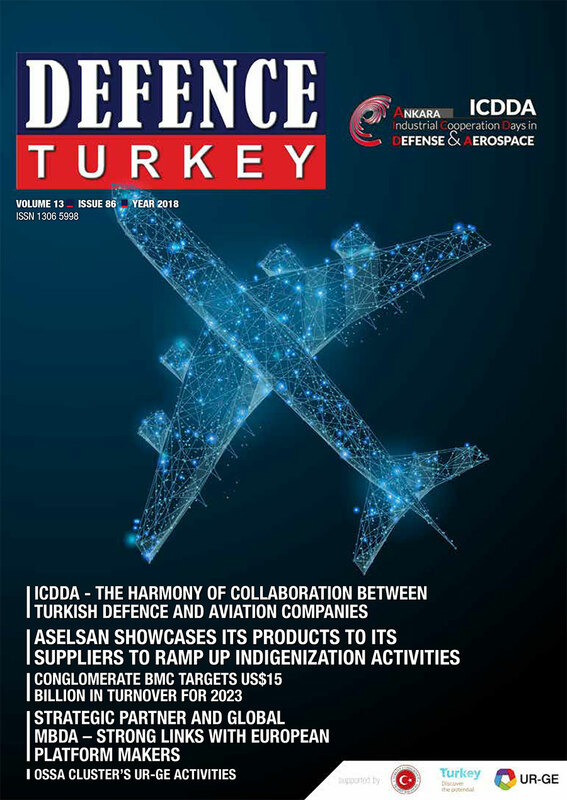 Defence Turkey: Established in June 1989 as a joint venture of MBDA Missile Systems and THALES, EuroSam has been selected as the technical support provider under the Turkish Long Range Air and Missile Defence System (GUMS/UMBHFSS) Project, and on January 5, 2018 Aselsan and Roketsan signed an agreement with EuroSam to jointly conduct an 18-month definition Concept Definition Study for ‘preparing the development and production contract’. This contract award followed a ‘Heads of Agreement (HoA)’ and a Letter-of-Intent (LoI) signed by Turkish, French and Italian MoNDs in July and November 2017, respectively. Can you elaborate on the current status of activities performed under the Concept Definition Study contract? How do you assess the Turkish Defence & Aerospace Industry in terms of its overall capabilities in the field of Air and Missile Defence? Michele DI NUNZIO: Activities are proceeding as planned. Turkey has awarded Eurosam, Aselsan and Roketsan a contract for the definition study of the future Turkish Long-Range Air and Missile Defence System. The contract award was made during the meeting of President Recep Tayyip ERDOĞAN and President Emmanuel MACRON in Paris at the beginning of January. 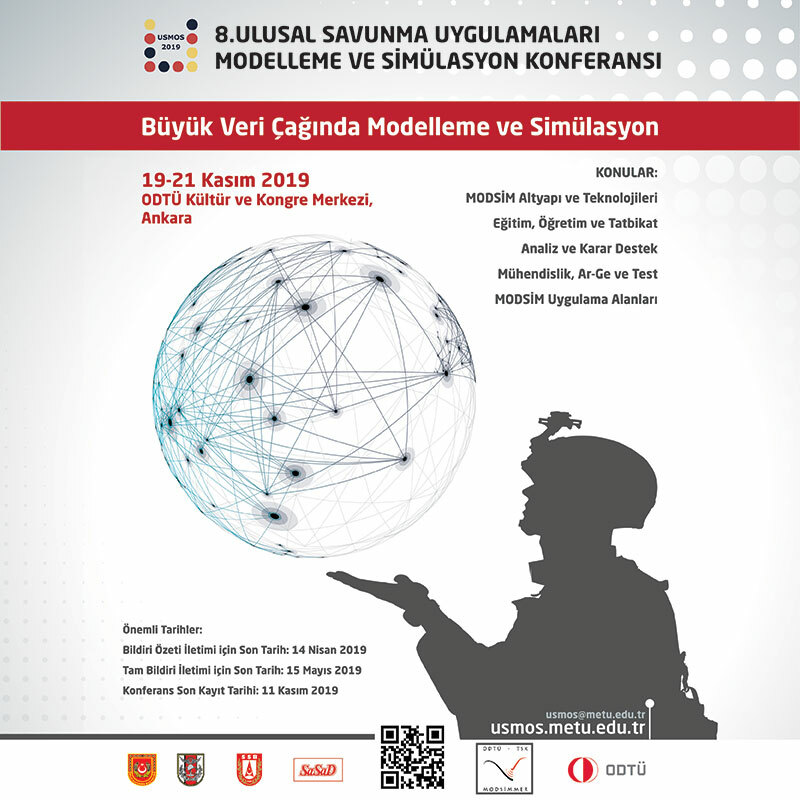 Scheduled to last 18 months, this definition study aims at preparing the development and production contract for the future system meeting the operational requirements of the Turkish Air Force. The contract was awarded by the SSB (the Presidency of Defence Industries), which is responsible for acquisitions under the President of Republic of Turkey, jointly to Turkish companies Aselsan and Roketsan, and to the Franco-Italian consortium Eurosam; backed by its two shareholders MBDA and Thales. This study paves the way for the launch of a three-country joint Long-Range Air and Missile Defence Program. The future system will be ready by the middle of the next decade with a state-of-the-art military capability designed to counter the most challenging threats (stealth aircraft, UAVs, cruise missiles, and ballistic missiles). The system is expected to meet three countries’ basic operational needs and it will guarantee Turkey has full autonomy of use and will allow a sovereign choice of integration level within NATO. The joint development activity is expected to support Turkey’s indigeneous air and missile development program in addition to opening up prospects for exports and longer-term co-operation between Turkey, Italy and France. We have been working with top level local industries for years, with Aselsan and Roketsan, with whom we expect to develop together a solution of very high quality. Defence Turkey: Can you elaborate on the current status of your cooperation with Aselsan and Roketsan under the GUMS/UMBHFSS Project? In what areas do they need your techical support? How open is MBDA to sharing its core technologies in the field of Air and Missile Defence? Michele DI NUNZIO: Let me first recall the fact that Italy and France have shown consistent support in helping Turkey ensure its own security. The most significant and recent testimony of this attitude is precisely the deployment in Kahramanmaraş in the South of the country of an Italian Army unit of SAMP/T to ensure the security of the Turkish population against air and missile threats. I think it is important to remind that cooperation between industries is always dependent on the good will of governments and this commitment is a clear evidence of the support the Italian and French governments are giving to the security of Turkey. Defence Turkey: Are you ready to share ASTER-30 Block-1NT technology with Turkey (Aselsan and Roketsan)? Have you formally invited Turkey to participate in the ASTER-30 Block-1NT Program? 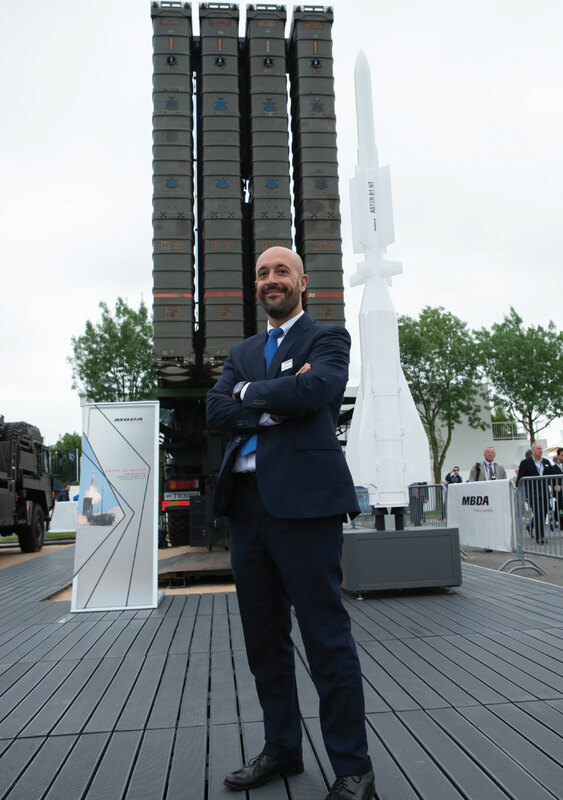 Michele DI NUNZIO: The objective at this time is to develop and produce an air defence system with antiballistic capabilities, with the partnership of Turkey, not only at the munition level, but also at the system level. And the level of this partnership will depend on the level of investments that the country is willing to do in this sector. Defence Turkey: What are the aspirations of MBDA towards a long-term presence in Turkey through cooperation? Can you elaborate on the other programs that MBDA would like to pursue in Turkey and cooperate on with local industry? What is the extent of your collaborations in Turkey? Michele DI NUNZIO: Turkey can be a strategic partner of France and Italy in the creation of an Aster based GBAD system with antiballistic capabilities. Then all other scenarios are open and to be evaluated. For sure we cannot imagine that these kind of systems would be of interest toTurkey only. MBDA is proposing itself as a strategic partner for Turkey in the TF-X fighter program: they are looking at air to air and air to ground capabilities. So there is room for cooperation not only in the GBAD, but also in the fighter program: the 2 key defence elements for a nation. MBDA is also proposing its capabilities in naval systems, such as the CAMM family and the Aster based naval air defence system. Defence Turkey: During ILA 2016 Roketsan and MBDA Deutschland GmbH signed a Memorandum of Understanding [MoU] to extend their cooperation towards joint production and the integration of 70mm [2.75 inches] Laser Guided Missile CİRİT on EC665 TIGER UHT Helicopters. What can you tell us about the activities performed under this MoU?